Here's a great article from Healthy Women about over the counter and professional teeth whitening treatments. Pop quiz: What is the quickest, easiest and most popular way to achieve a "new you" in the new year? Teeth whitening. If you’re ready to brighten that mega-watt smile of yours but confused by the seemingly countless whitening options available (DIY strips, paste, trays? Professional in-office treatments or at-home kits? ), you're in good company. Not to worry! After reading this, you’ll know just what to do. 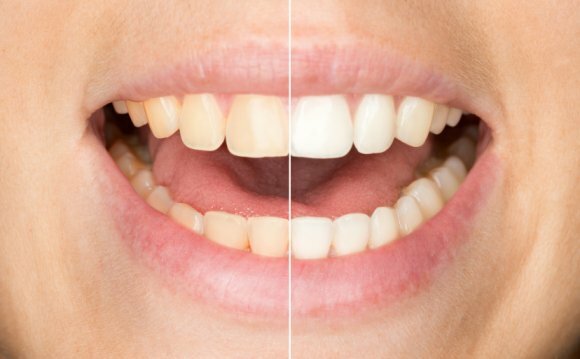 New York City-based orthodontist and teeth whitening specialist Dr. Jacqueline Fulop Goodling has come to the rescue and explained the pros and cons of each to help you decide which option is best for you. To begin, both over-the-counter whitening kits and professional treatments offer certain benefits. To have the best outcome possible, it's important to understand what can reasonably be expected. Additionally, it's vital to start with a clean slate.